Head on over to Nike.com where select Converse Chuck Taylor All Star Shoreline Slip Shoes in violet or white are on sale for $34.97 (regularly $55). Even sweeter, through Tuesday, November 27th only, you can use promo code CYBERCON30 to get an additional 30% off select styles, making these shoes just $24.48 each! And if you haven't already, be sure to sign up for a Nike+ account (free to join) and you'll score free shipping on every order! 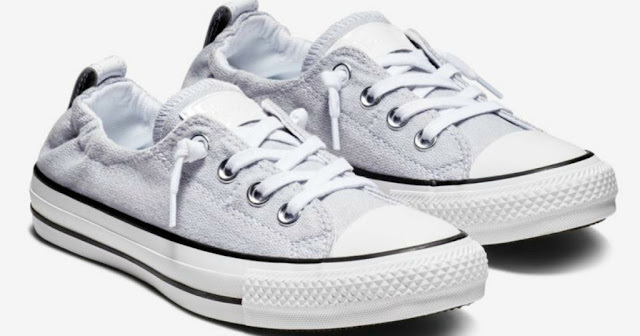 That means you can score a pair of Converse sneakers for under $25 shipped!